Renowned Bangladeshi writer and controversial feminist Taslima Nasreen on Friday criticised New Zealand Prime Minister Jacinda Ardern for wearing hijab. Taslima Nasreen, who has been living in exile following outrage of country’s Islamic groups over her controversial writings regarding Islam, said prime minister of New Zealand insulted women struggling for freedom. Taslima Nasreen on Friday night twitted this on her verified Twitter account. 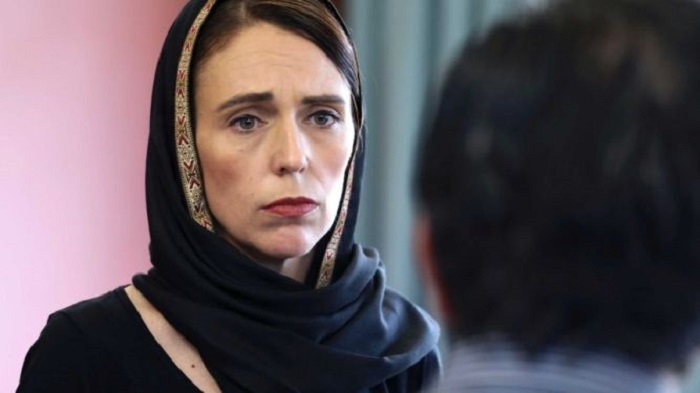 Jacinda Ardern, on Friday attended funerals of victims at Hagley Park adjacent to the Al Noor Mosque, who were killed in horrific gun attack in two mosques in Christchurch, wearing hijab to console mourners. Taslima also raised question to New Zealand’s white non-Muslim women asking why they wore hijab to express solidarity with Muslim mourners. “I don’t understand why New Zealand’s white non-Muslim women need to wear Islamic hijab, the symbol of female oppression, as tribute to the victims of mosque attacks. Did New Zealand’s white non-Muslim men wear Islamic skullcap for solidarity? Or is it only women’s responsibility?” she twitted.